How good or bad is your website? It’s not always easy to answer this question. If you’re not a designer or a techie, then how would you know where to start? You might like the colours and images, or the general layout and design but a website is so much more than that. Friends and family could offer feedback and tell you what they like and don’t like, but with so many conflicting views, who should you listen to? 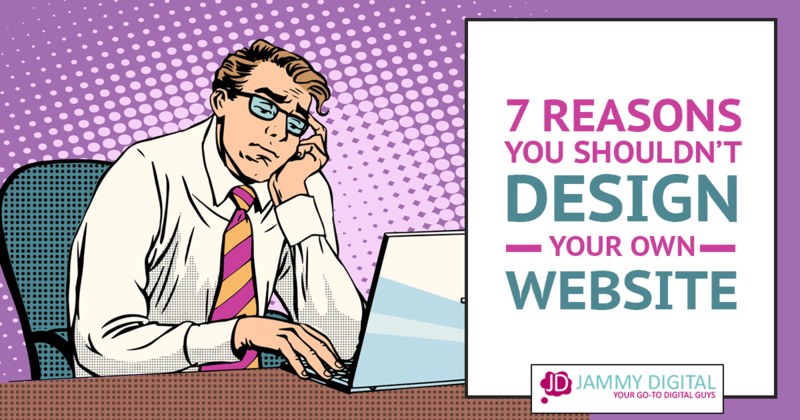 In most cases, you’re going to trust that your web designer has delivered a high-quality website, or that the software you’ve used to build your site is good enough. What if you’re missing out on enquiries or what if your design is turning people off? From experience, it’s not enough to simply HAVE a website. A website should deliver you results, and if it’s not, then something is wrong. I’ve created a website self-assessment tool. 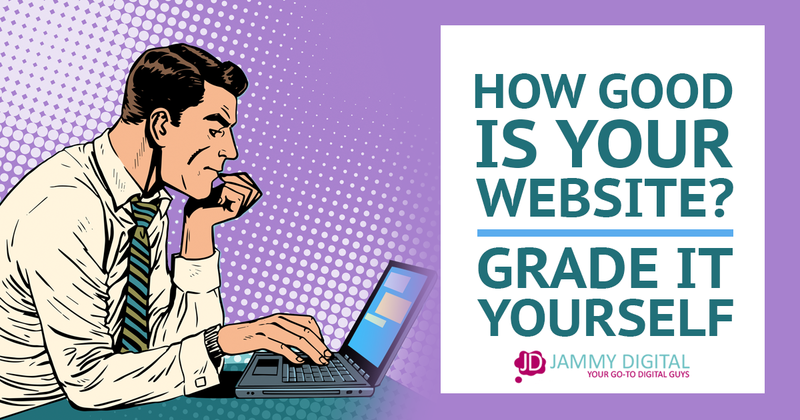 You can use it to grade your own website and get immediate feedback on what you can do to improve. 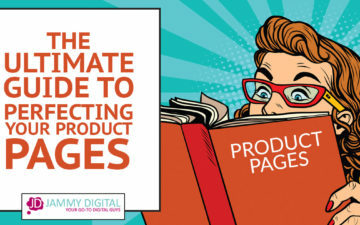 Having reviewed so many websites over the years, I realised that most businesses make very similar mistakes. I’ve put together a list of the 30 questions that you can answer about your website. The answers will give an indication of how well your website is performing. Each topic has three scenarios. All you have to do is read through each of them and select which statement is most accurate for you. Once you’ve done you’ll be given your score. 70–79 Grade B Great job. Well done! 60–69 Grade C Pretty good but still work to do. 50–59 Grade D Not good. Lots of work to do. 40–49 Grade E Back to the drawing board. 30–39 Grade F Warning! You're losing customers! Please be as honest as possible when answering the questions. If you need any clarification feel free to leave a comment at the bottom of this page. Q1 – How would you describe your use of taglines? Which statement is most accurate? Q2 – How accessible are your contact details? Q3 – How does your logo look on your website? Q4 – Do you have a strong call to action? Q5 – How would you describe your use of images? Q6 – Are you clear about what services you offer? Q7 – How much content do you have? Q8 – Is your website customer focused? Q9 – Do you use jargon on your website? Q10 – Do you capture your customer’s email address? Q11 – How useful is your blog? Q12 – How would you describe your menu/navigation? Q13 – How would you describe your use of colours? Q14 – How readable is your content? Q15 – How would you describe your choice of fonts? Q16 – How do you use internal links to your advantage? Q17 – How quickly does your website load? Q18 – Is your website mobile friendly? Q19 – Do you use a variety of media throughout your website? Q20 – How do you use social media within your website? Q21 – Do you use testimonials on your website? Q22 – Do you use case studies on your website? Q23 – How unique is your content? Q24 – Do you use added software on your website? E.g. drag and drop software that may slow your website down. Q25 – How many content web pages do you have? Q26 – Does the personality of your business shine through? Q27 – Do you show your staff/team on your website? Q28 – Do you answer customer questions? Q29 – Does your website look cluttered? 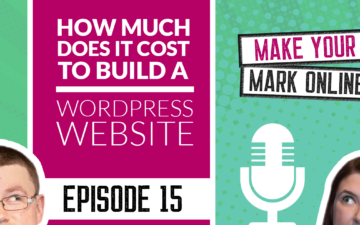 Q30 – Do you discuss cost or pricing on your website? What score did you get? Comment below! Hopefully, you now have a better idea of how good (or bad) your website is. You shouldn’t be disheartened if your score is low, but you will certainly want to look at the questions again and spend some time planning how you’re going to improve it. If you would like our help, why not book a website critique via the link below. We’ll record a personalised video telling you exactly what you can do to improve it. How did you get on with the self-assessment? Were you surprised with your grade? I’d love to hear from you so please let me know in the comments below. Thank so much Anne. Your website is coming along nicely! Really glad I could help!